No booking in advance necessary. Access is indicated on the spot. Be sure to bring white clothing, your own slippers, pads and blankets to sit or lie on. Cosmic, galactic and planetary initiations also start to take place in Mirit’s and Tine’s presence. Through them, people receive exceptional gifts of inaudible cosmic waves, which help them to restore balance and health, the expansion of consciousness, spiritual growth and necessary insights. Selected sound is the key, the sound code leading to SILENCE – with the added support of the channelled sound of the Vedun Ensemble (besides Mirit, the Ensemble’s members are Tine Omerzel Terlep and Igor Meglič, both of whom are sound-energy therapists at Mirit’s Veduna School). Sound is everything, it is both the visible and invisible, audible and inaudible. Life is the alchemy of frequencies – the resonance of all (sonic endowments). The material and non-material worlds are both composed of frequencies. But the quality of sound is far, far more. Sound is an alchemy of frequencies and their energy waves, a tool for the harmonisation and healing of the subtle levels of the spirit and physical body, help for the expansion of consciousness and for the activation of our meta-senses. This distinct magic of sound influences us, whether we are aware of it or not. Using sound, or resonance, we can piece us together into a harmonious whole and attune to natural rhythms. But disharmony or our personal dissonance can make us ill. The wisdom of the world's musical traditions connects human consciousness with the archetypal unconscious realm and with the sonic patterns of meta-time. And sound connects us also to the Great Auditory Logos of the Universe and to Cosmic Intelligence, to the Consciousness of Nature. Subatomic (subquantum) physics and indeed medicine are discovering this more and more. Sound is the key to those gateways of the ‘soul and heart’, which open the subtle realms ‘beyond’ ordinary consciousness (the transcendental levels of living) as well as the accelerated paths of self-development. The workshops and courses of the Veduna School help to identify and solve the causes of our problems and difficulties, the consequences of destructive thoughts and emotions. They offer tools for the elimination of imbalance and pain in our lives. Through initiations, intensive courses, the exceptional (cosmic) light-sound surgery and the light-sound codes of cosmic resonance, participants activate (self-)harmonisation and (self-)healing, and awaken their talents and dormant abilities. They restore their awakened wholeness. This is in fact the very essence of our life's seeking. 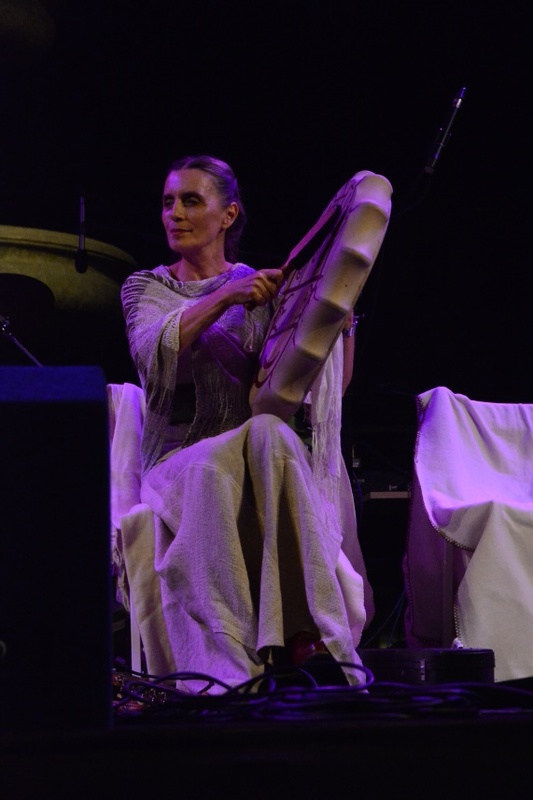 Mira Omerzel - Mirit, whose PhD is in ethnomusicological sciences, is a musician, energy-sound therapist, spiritual teacher, medium, writer and keeper of the ancient wisdom and knowledge. She has been researching these topics for more than 50 years. Mirit is a pioneer in the exploration of the dimensions and power of sound, and a pioneer of ethno-archaeo-medical musicology at home and abroad. She researches the forgotten spiritual wisdom of different civilisations, especially the Slavic musical and spiritual heritages. 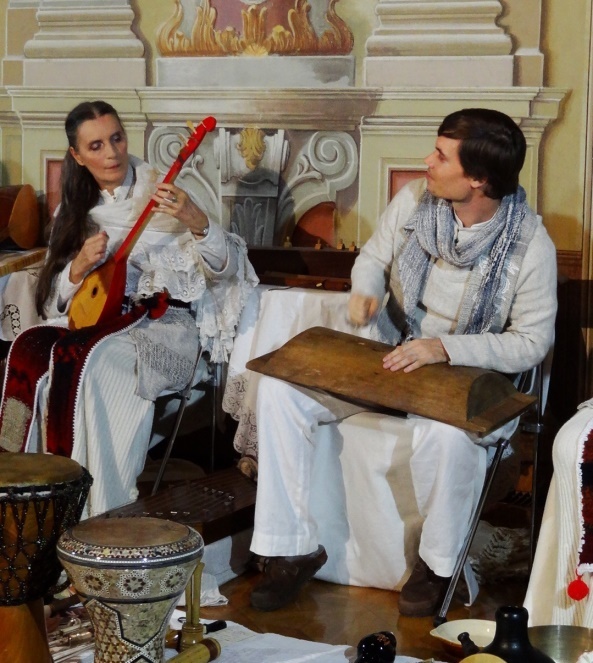 She is the founder of the Veduna School and the Vedun Ensemble (previously Trutamora Slovenica). Her son, Tine Omerzel Terlep, an engineering graduate and sound therapist-medium, continues her work. Other (academic) musicians of the Vedun Ensemble are also sound-energy therapists of Mirit’s school. 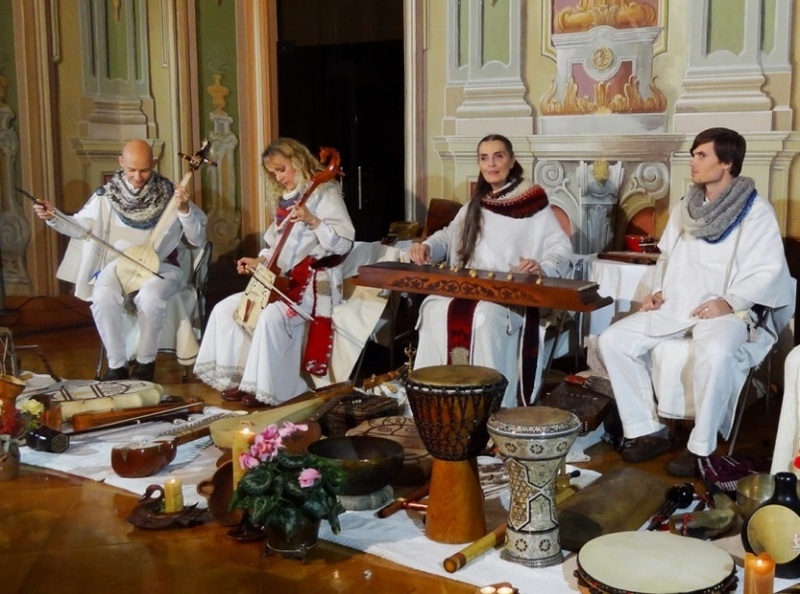 They all work with their voices and with unusual, mostly forgotten instruments of various spiritual traditions of the world. At their courses and concerts, as well as through their CD albums, they all harmonise the world by channelling life energy and sound. 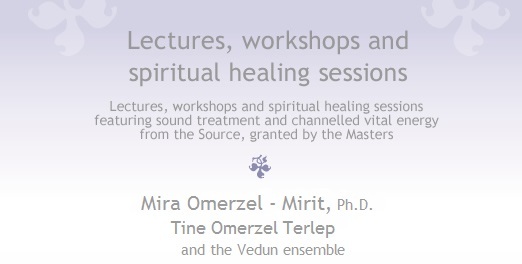 The exceptional, globally rare cosmic sound-energy surgery is performed by the mediums Mira Omerzel - Mirit, Ph.D. and Tine Omerzel Terlep, MEng (with the support of the Vedun Ensemble). Mirit and Tine are mediums for the transmission of Universal life energy into the material world. They channel gifts of frequency-sound vibrations which people need for their balance. They draw them from the Source of Life, from the Universal Intelligence, or the so-called “cosmic soup” – the symphony of frequencies. Or with the help of the ancient Slavic trojak, which serves as a transformer of energy. Surgery is carried out at all levels of body and spirit. It dissolves emotional-mental and energy blocks and, as a consequence, harmonises the physical body. It eliminates the destructive effects of stress and restlessness and accelerates our spiritual growth. All of that enables us to receive clear thoughts, insights and visions that are necessary for our daily life and creativity. It is recommended that you take part in at least four consecutive surgeries. This cycle of courses is an initiation journey across the 9 levels of consciousness, of reality and of the power of transformation. The knowledge and practice of the ancient wisdom (of Native Americans, Siberians, Hawaiians, Tibetans, Australian Aborigines, Egyptians, Greeks, Celts, Slavs, Indians, Brazilians, Filipinos, Balinese people etc.) unveils an awareness of the laws of life and existence, offering effective ways of restoring balance, peace and abundance. A special emphasis is placed on the Slovene and Slavic spiritual heritages, on the forgotten, overlooked and miraculous Life Mysteries of the past – for the future. Every year, Mirit and the Ensemble hold a renewal retreat in the mountains and a ten day dry fast by the sea. This is a multi-year and multi-level cycle (4 basic and 12 advanced levels, or initiations). It is a cycle for attuning our physical and etheric bodies as well as our consciousness, or soul, to the Source of life (by means of light-sound keys, or codes). Resonance enables us to become aware of our problems and to solve them quickly. It brings beneficial all-connectedness and the transmission of harmonising (healing) life energy, which is needed to restore our own harmony. Participants receive ‘tools’ with which to work on themselves and help others. Initiations bring into people's lives beneficial frequencies – energies and vibrations, which humanity needs for balance, self-awareness and joy. We are barely able to attain these vibrational qualities by ourselves. Mirit and Tine channel the planetary and stellar frequency-sound waves of the Pleiades, Orion, Galactic Centre, Sirius, Kryon, Gemini, Draco, Ophiuchus, Cygnus, Vega, Arcturus, Ursa Major, the Sun, the Moon and the planets of our solar system etc. Cosmic, galactic and planetary initiations are rare in the world, as is the cosmic sound-energy surgery. They form a part of our spiritual anatomy and complement the cosmic-earthly surgery. They are artistic-therapeutic creations and distinct rituals. Their sound-energy yarn (channelled in a shamanic semi-trance) creates a special experience. The Ensemble’s pioneer work, which is rare in the world, restores to music its sacredness. The musician-therapists bestow upon the audience harmonising sound images and keys, calming harmonies and rhythms, which relax deeply and expand our consciousness. Their concerts and audio-visual creations usually feature rich explanations and interpretations of the sound images written by Mira Omerzel - Mirit, Ph.D. (booklets in Slovene and English). In her books, Mirit reveals wisdom beyond thought and audible sound, the knowledge of the past for the future. She uses the written word to explain the long forgotten knowledge of different cultures; she speaks of the laws of life and survival and of the essence of sound. She also describes the experiences and trials of her spiritual journey, as well as her important and valuable experiences among wise healers, priests and shamans of different peoples. In her stories, fairy tales and spiritual messages put into poems (including oracle poems), the reader is guided through the Great Mysteries of Life in an artistic and symbolic manner. In all her books, mostly channelled according to a cosmic dictation, the author provides food for thought concerning the past wisdom of our planetary ancestors and the knowledge of the laws of fulfilled and joyful living, which shows a path to peace and manifold abundance. The purpose of retreats (at Rogla/Slovenia and at Murter/Croatia) is profound relaxation, pranic-breatharian processes, spiritual growth and re-harmonisation. Days without usual food and occasionally without liquid, in silence and darkness, as well as with sound and dance to round up the exceptional spiritual feats – these days are magical and extremely beneficial for our bodies, souls and lives. The channelled sounds of the current moment lead us into the peace of the soul. Into the silence within us. Into harmony with everything. Into spiritual well-being. All Veduna activities are connected with sound and cosmic surgery.